With the exception of the bride, the flower girl probably gets the important factor at a wedding. Little girls look cute in dresses, so that part is not tough. The tough part is finding a dress that matches your wedding style, your taste and one that makes the flower girl feel great wearing it. First, the dress should matching the exact color of the bridesmaid dresses, you might be stuck with getting it custom made at a dress shop. 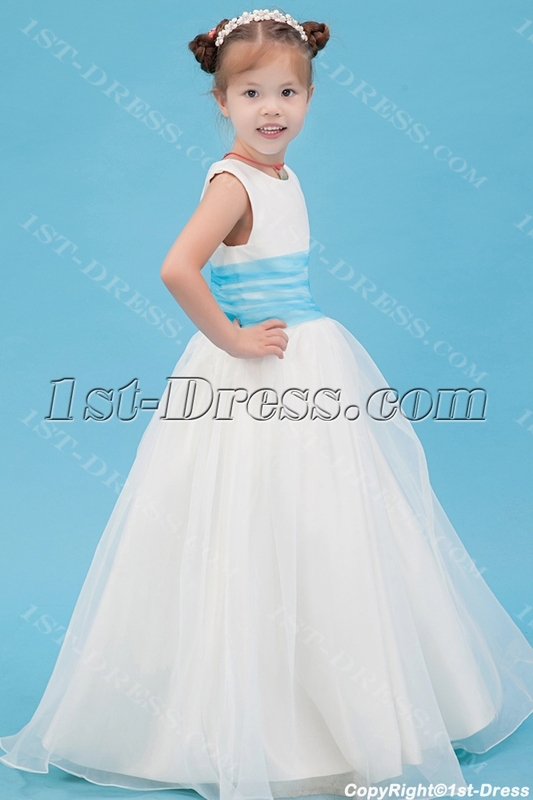 If your wedding is upscale and fancy, choose the same when you’re choosing your flower girl dress. If it’s a casual beach wedding, make sure the flower girl dress is loose, flowing and appropriate for a hot summer day. Depending on the age of the girl, you may want the dress to look similar to the bridesmaid dresses and have her look more like a junior bridesmaid.If shes a teen she will likely have certain dress styles that look better on her than others. You should really have the girl with you when buying the dress if at all possible. If she’s an infant, something with ruffles and a fancy headband will work. You can bet that whatever is in for the bride and bridesmaid is in for the flower girl. Usually it will be a version of the same style, but put into kid appropriate attire. For instance, if the bride and bridesmaids have strapless dresses, the flower girl could have a version of the same dress, but with wide straps. The necklines are usually higher and the trends are typically more muted. If there is a lot of beading on the wedding dress, there might be beading on the flower girl dress, but just less and more simplified. This entry was posted in Special Occasion Dresses and tagged dress, flower girl, gowns, wedding on February 28, 2015 by yczhj2007.